For most people, the mention of ‘economics’ conjures up images of financial analysts in crisp business suits, jargon-filled reports and complex mathematical stuff no layman can understand. Or maybe it’s just me, lol. If you really think about it though, economics is pervasive in our everyday lives – you just don’t think about it that much. You draw a pay for your work = economics. You pay money for goods and services = economics. The price of your favourite bubble tea increases because cost of raw materials increased + the gov implements a sugar tax = economics. 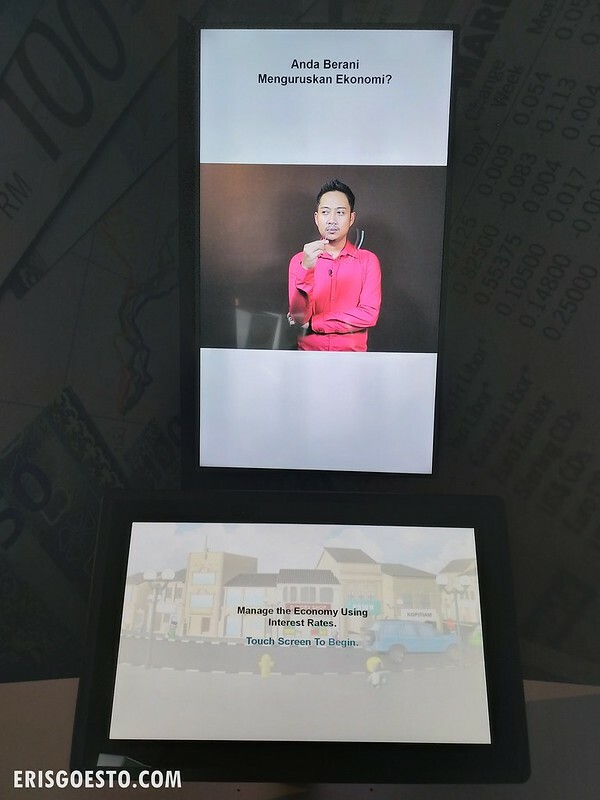 To learn more about economics, the banking system and the evolution of money in Malaysia, I visited Bank Negara‘s (ie the Malaysian Central Bank) Money Museum & Art Gallery in KL. 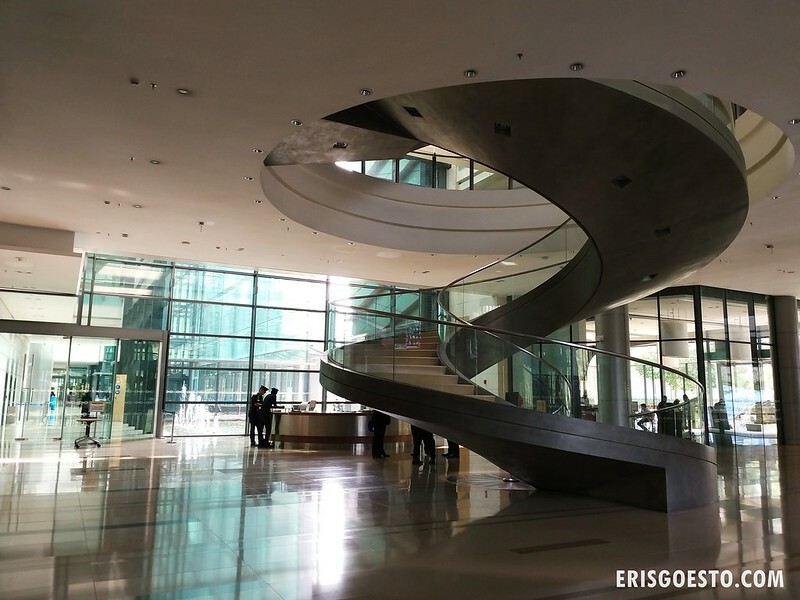 The museum is housed within the left wing of Sasana Kijang, a modern state-of-the-art building which also hosts some of the bank’s partners, including research and training bodies, business schools and financial services boards. 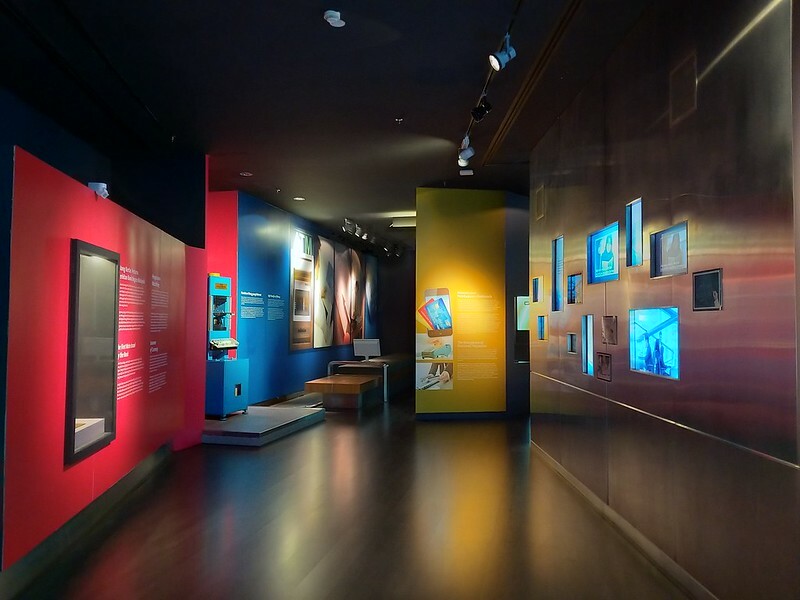 To enter the museum, you go through a security check and leave your bags in provided lockers. There are lifts, but you can also opt to go up via the spiral staircase in the middle. There is a souvenir shop and a cafe on the ground floor. The museum is spacious, spanning three floors and seven galleries. 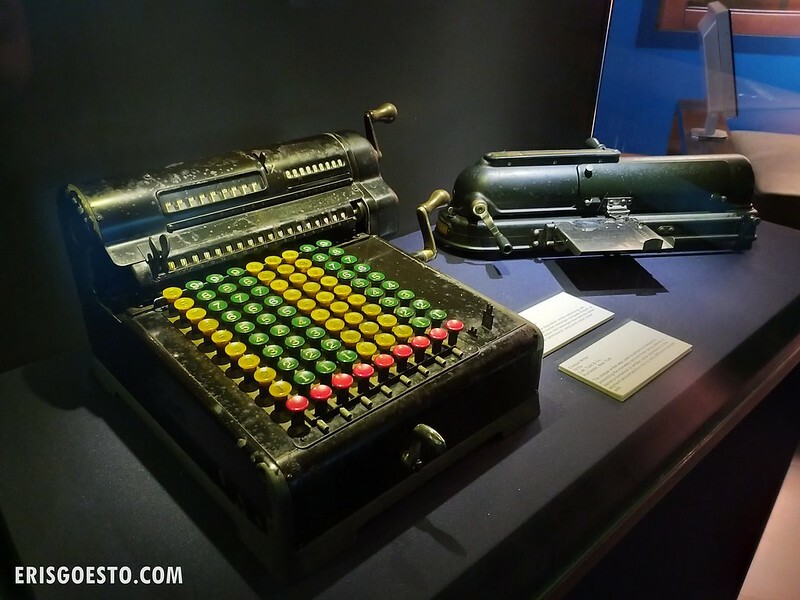 The Bank Negara Gallery chronicles the history of the Malaysian central bank and also includes general displays related to money and economics, such as tools used for minting, old cheque machines, a replica of a vault room and more. To make it more interactive, there are fun quizzes that you can take. Try your hand at trading stocks, or managing the economy using interest rates. (Failed at both and caused the economies to crash. Welp.) There is also a section where you can spin blocks and compare how inflation has caused prices of goods to increase over the years. Have you ever wondered how a Central Bank Governor’s office looks like? Here it is! The Islamic Finance Gallery chronicles the concept of economics in the world of Islam. You can listen to and view excerpts from the Quran relating to finance and trade. 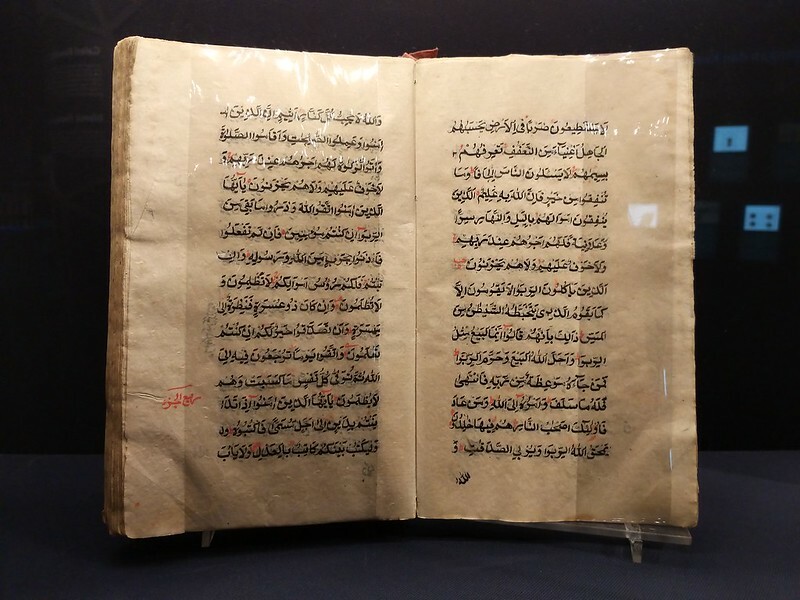 As Islam came from Arab, there are also sections dedicated to the development of the Arabic numerals, which forms the basis of the numbers that we use today. 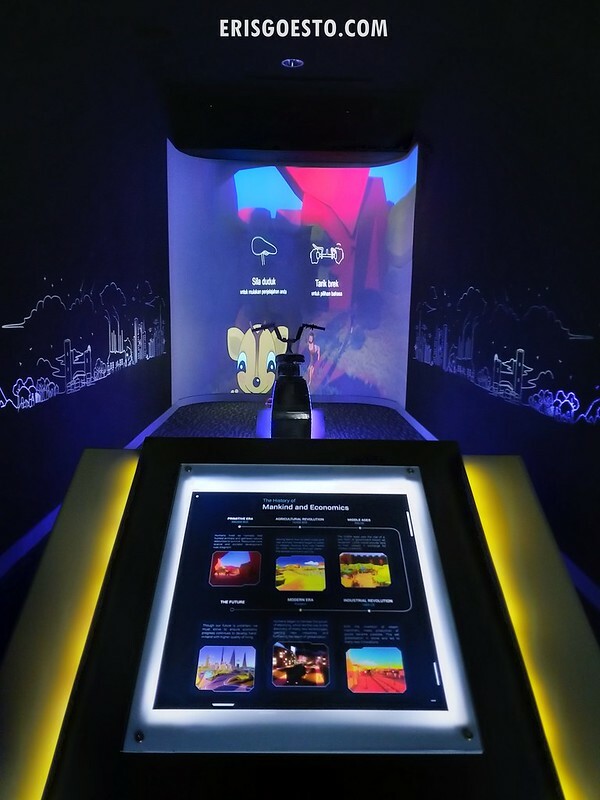 This was one of my favourite exhibits – a dark room with a stationary bicycle, which you have to pedal as the video takes you through a history on mankind and economics. If you stop pedalling, it’ll stop playing! The cute animation style and the easy to understand narration takes visitors through the beginnings of trade, how it evolved in Europe through the middle ages, the industrial revolution, and finally its impact on our modern lives. 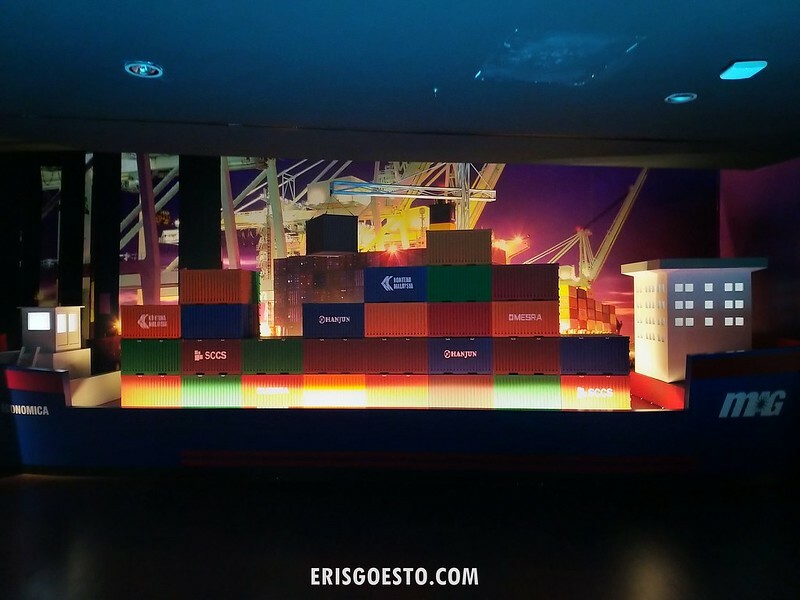 Moving on to the Economics Gallery, which detailed economic policies and how it affects nations, there was an interesting ‘container ship’ exhibit which visitors can pull out and reveal what Malaysia exports to different countries. Very creative presentation ! They also had information on ‘tulip mania’, which I found super interesting. Basically in 16th century Netherlands, a speculative bubble created a huge demand for tulips, and prices for the bulbs rose so dramatically people were selling off their houses and land to get their hands on tulip bulbs! Needless to say when the bubble burst, the Dutch economy took a severe hit and many people lost their fortunes. 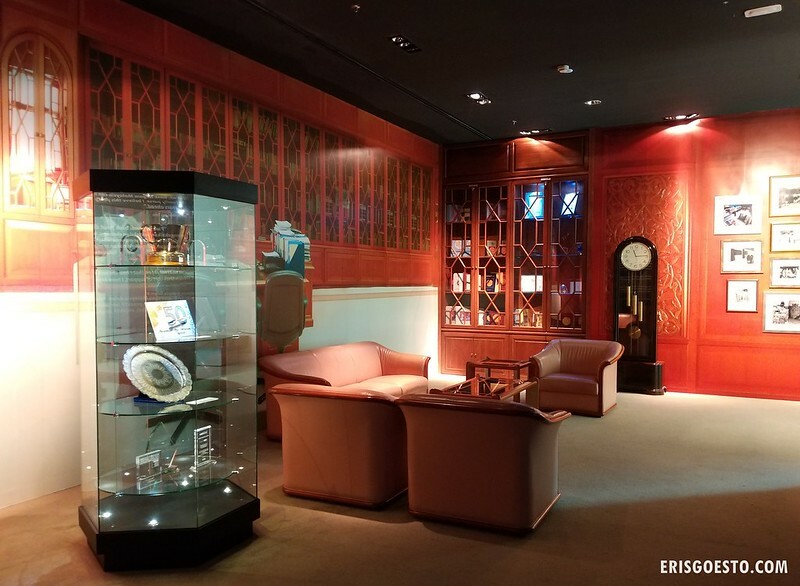 Collectors and researchers will enjoy the Numismatics Gallery, which boasts an impressive collection of coins and paper money – thanks to Malaysia’s unique history. In the 14th century, the Sultanate of Melaka was an important port and saw traders from as far as China, India and Saudi Arabia. Later on, the Malay straits would be colonised by the Portuguese, the Dutch and the British. 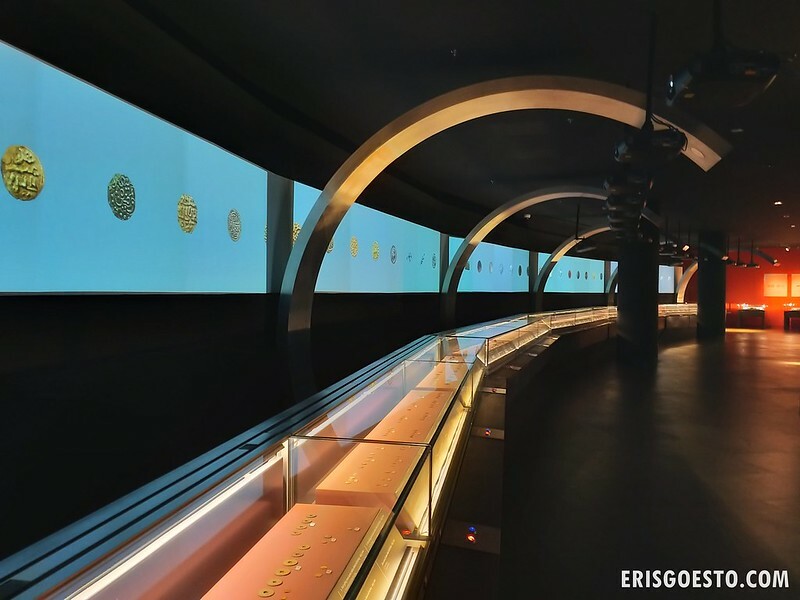 The ‘River of Coins’ section showcases the flow of coins through time, with helpful displays on the screen giving detailed information on coins from a particular era. 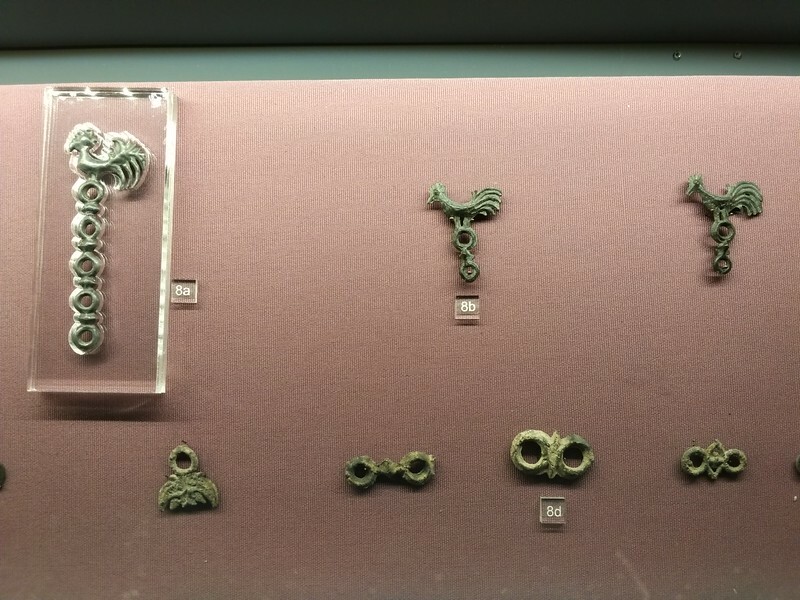 Rooster-shaped coins used in the Malay sultanates. 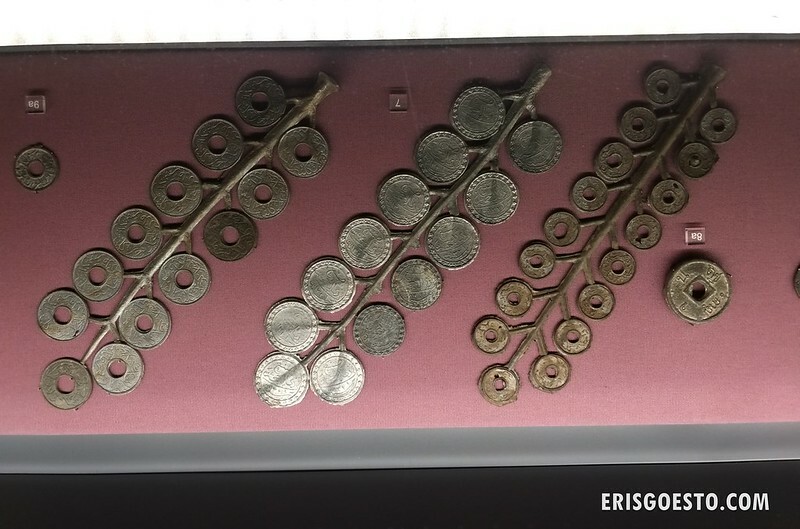 Animal-shaped tin money in the form of crocodiles, fish, elephants and even grasshoppers were used currency between the 15th and 18th centuries, as were ones shaped like flowers with coin ‘petals’ running along the stem. 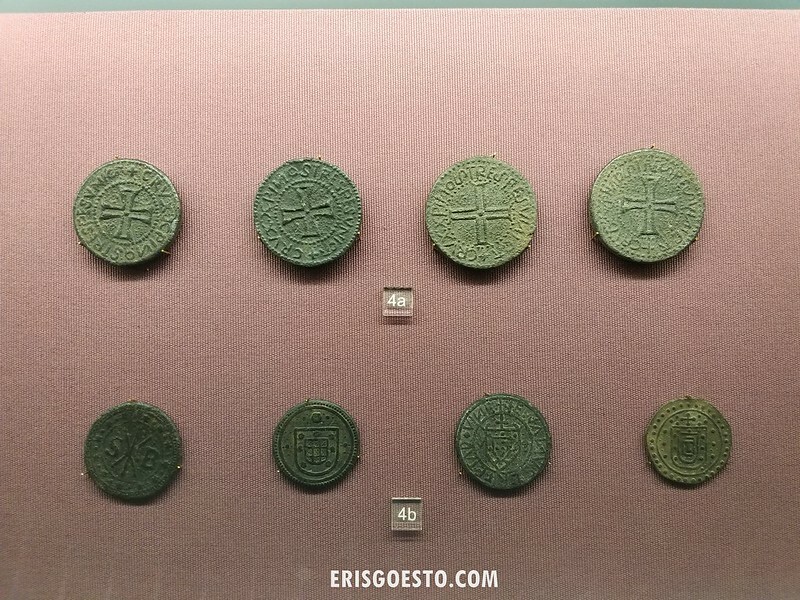 Portuguese coins featuring crosses and shields. 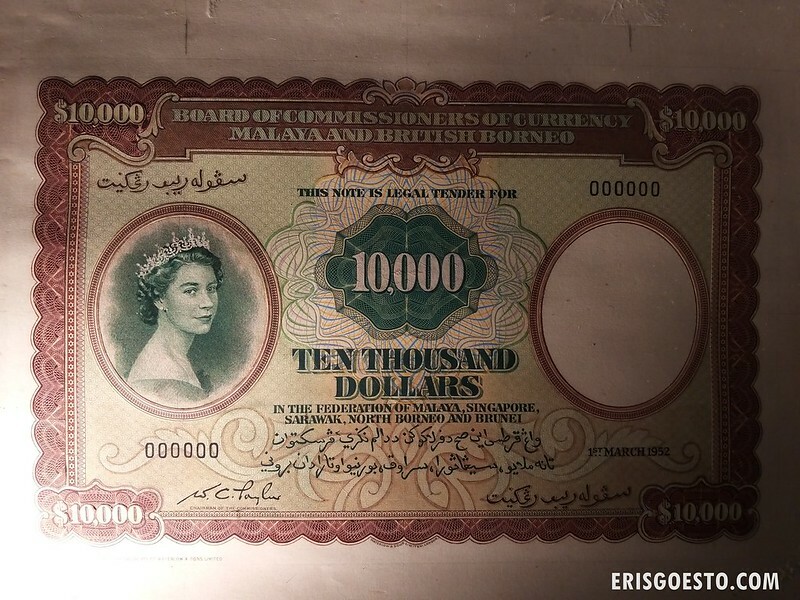 A British Malaya commemorative note featuring a young Queen Elizabeth II. There were also samples of ‘banana money’ – the currency issued by the Japanese during their invasion of Malaya and Singapore. These were rendered useless after their surrender in 1945. 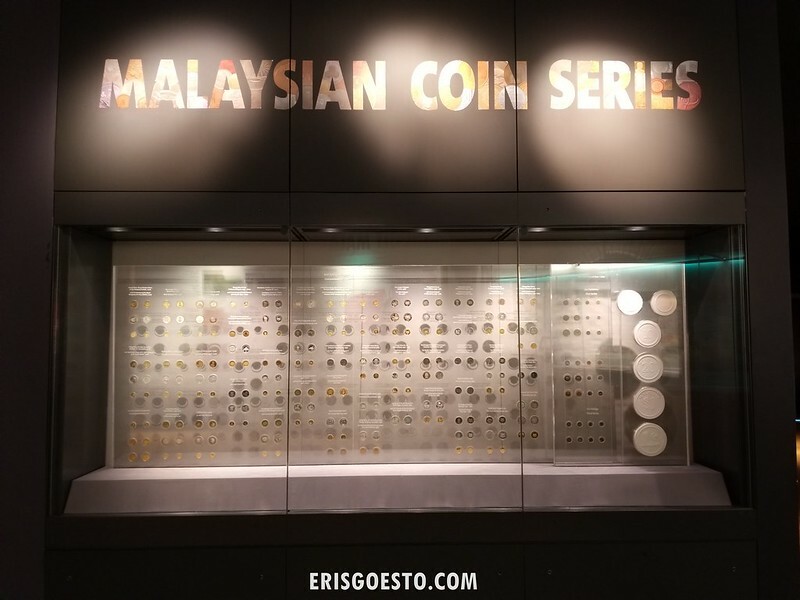 The evolution of Malaysian coin design through the years. 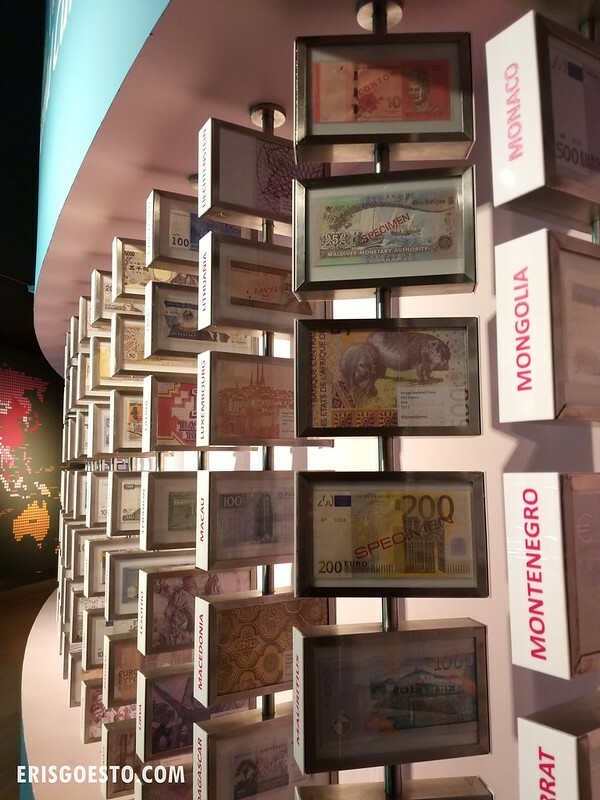 Bank notes from countries around the world. 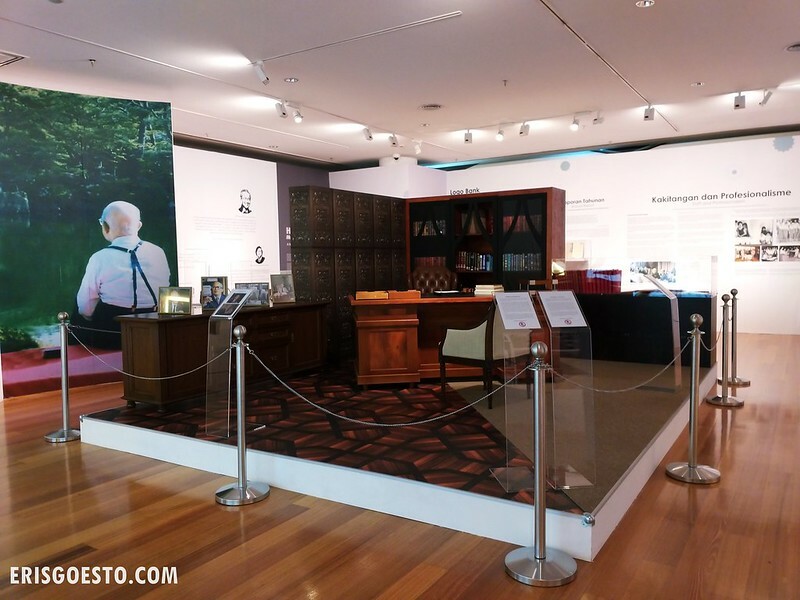 There is currently an exhibition running on Bank Negara’s second Malaysian governor (the first Governor was British), Tun Ismail Mohd Ali, with various personal items (diaries, a recreation of his office space, university robes, signed documents etc.) 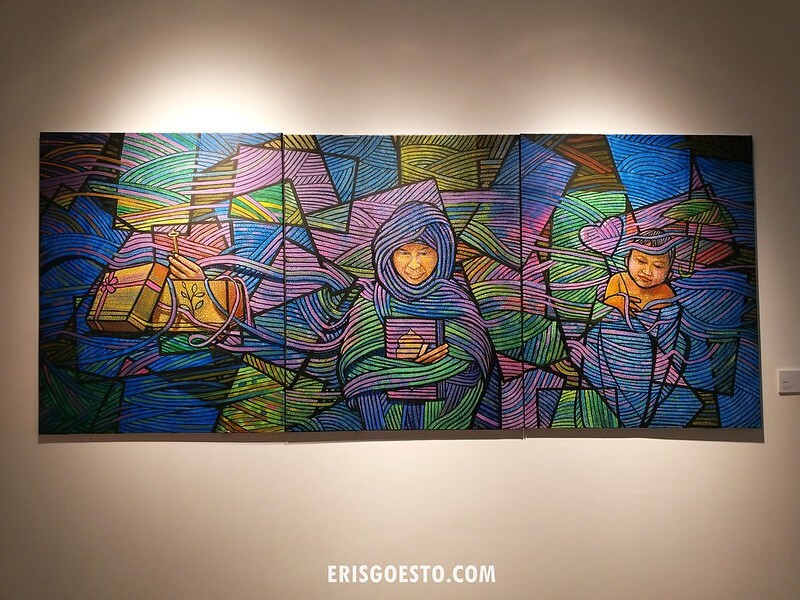 on display. An economics graduate of Cambridge University, Tun Ismail was one of the longest serving governors for the Central Bank, and played a huge role in implementing and shaping many of the country’s economic policies. He was the brother in law of our current prime minister, Tun Dr Mahathir Mohamad. 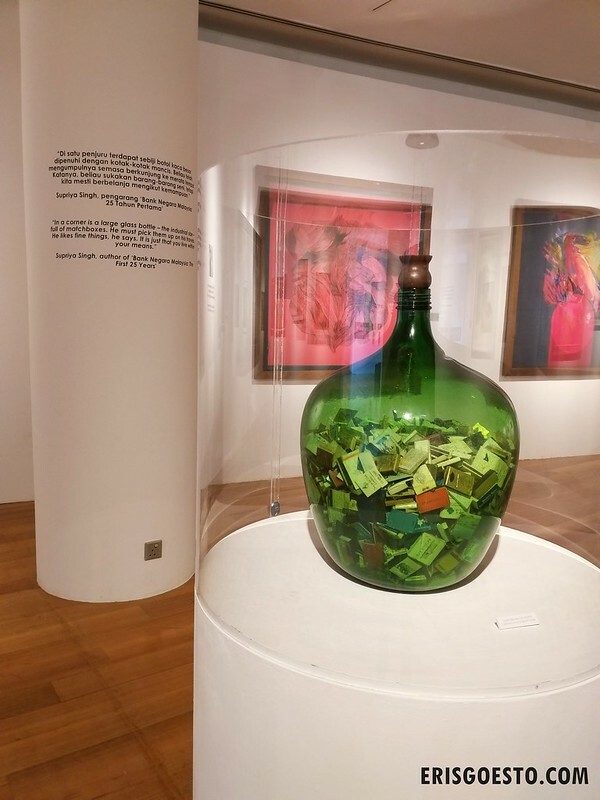 Another part of the exhibition features Tun Ismail’s art collection – including a large glass bottle with matchsticks collected from his travels. 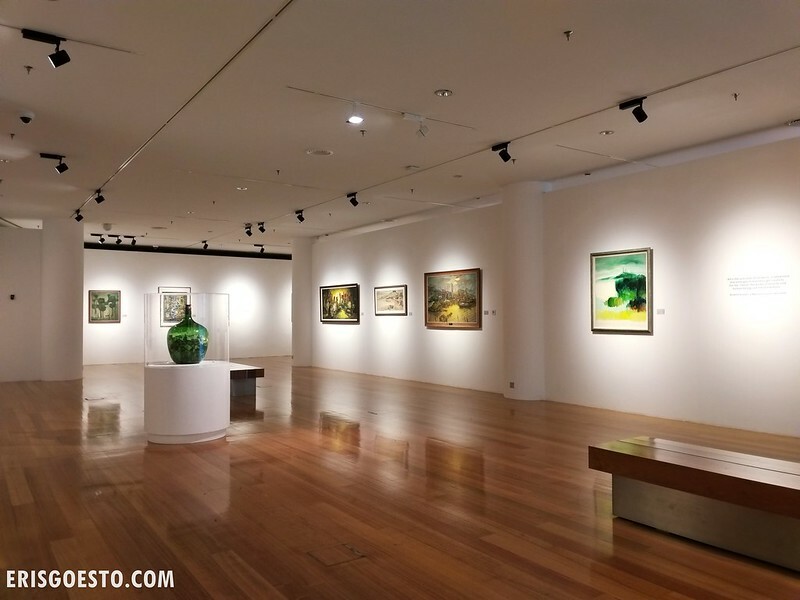 Ventured up to the top floor to check out their Art Gallery, which houses the Central Bank of Malaysia’s art collection, with works by prominent local artists such as Yong Mun Sen and Hossein Enas. 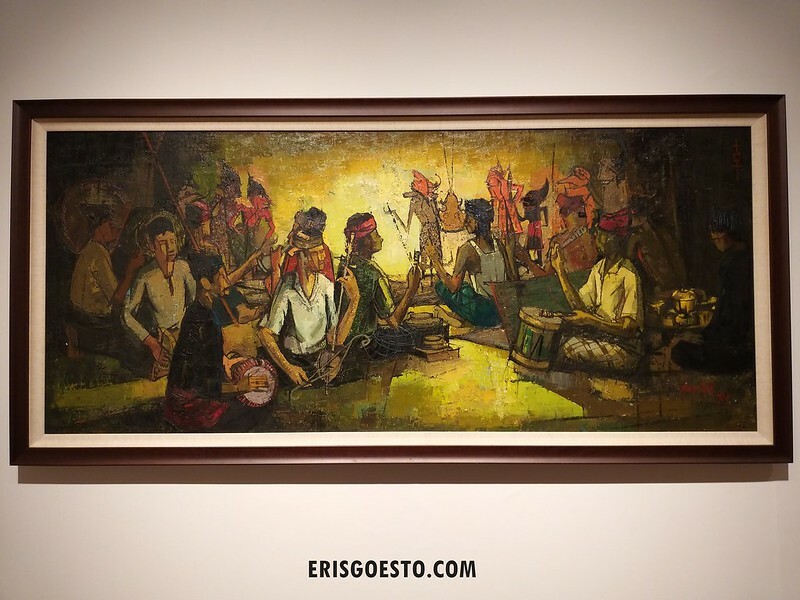 (Above) Wayang Kulit by Long Thien Shih (1964). Precious Gift by Adizain (2015). I was expecting a boring place and was pleasantly surprised by how interactive and interesting the study of economics and banking could be! Definitely worth paying a visit if you’re around the area, and best of all, entrance is free. Getting to BNM Museum is a bit iffy if you’re using public transport as it doesn’t arrive directly at the building’s doorstep. A ride hailing service is probably your best option, but if you want to try the trains, the KTM Komuter is a 10 minute walk away (Bank Negara Komuter station), and the RapidKL LRT is a 15 minute walk away (Bandaraya station).